With the highway to the Gold Coast being such a good run these days, there is no excuse not to try a variation to your normal weekend market shopping in the form of the Coolangatta Art and Craft Markets. 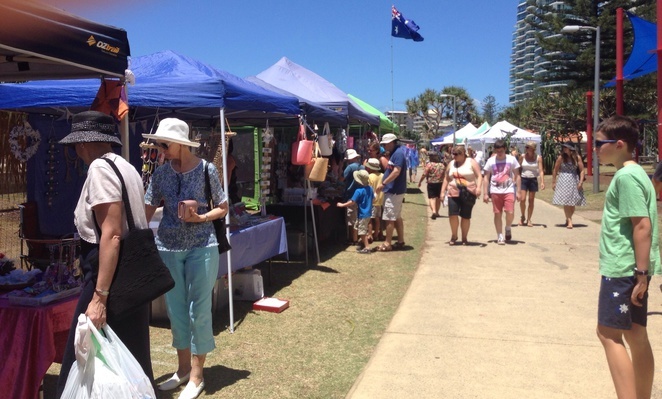 Held all year around on the second Sunday of the month the markets, with their stunning beachfront location are a wonderful alternative to your usual Brisbane markets. The drive to Coolangatta takes just on an hour, then allow yourself fifteen minutes to find a park on Marine Parade or one of it's side streets, as it is a very popular venue. The markets run from 8am until 2:30pm, giving you plenty of time to stroll through and see the wares, find a bite to eat and enjoy a bit of beach time before heading back to Brissy for dinner. The markets stretch right along the length of Queen Elizabeth Park which is adjacent to the stunning Coolangatta Beach with it's wonderful views of the Gold Coast and family friendly swimming. There are over one hundred and fifty stalls, featuring some of the best Australian made arts and crafts available. As we wandered through the stalls, we saw children's clothes, cute dressed up teddies, swimwear, plants, and herbs in pots, as well as a delicious array of treats such as roasted macadamias and tempting chocolates. If you don't get your fill of food in the market stalls, the other side of Marine Parade provides a great line-up of food options, including popular fast food and coffee outlets, along with bistro dining, unique cafés serving organic coffee and the mandatory Coast fish and chip outlets. We had such a great day here browsing, swimming and eating, that next time we will most likely stay in one of the many accommodation options in the area. You can find a list on the Gold Coast Tourism Website. The markets do tour around between the Gold Coast Beaches of Coolangatta, Broadbeach and Burleigh, so it's worth checking the Website to see where they are on next. This weekend, why not take a quick trip to the Gold Coast as an alternative to your Sunday Market shopping. 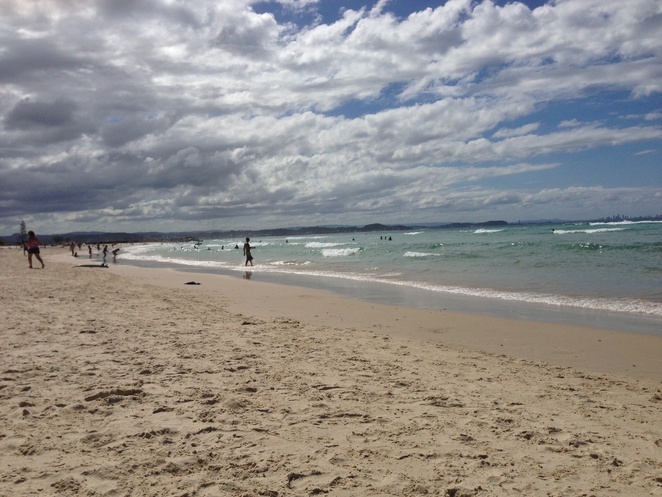 Pack your beach gear, hats and sunnies and enjoy a quick dip in the ocean while you're at it! Cost: Free until you buy something!